I have been wondering when we will have the opportunity to change our screen names. I have been looking forward to that since it was first announced. Once the login process is 100% complete, we will have a better answer for you all on this. I will let you know when I know. Thank you. To start I made it to 10,000 badges since the last blog, 10,028 as of now. Not sure if it’s just me but the new releases today for Jet Set & Quinn”s seem easier, I was able to breeze thru Jet set without replaying any hands to get the first set of badges, and now I’m seven levels into the new tank, winning every hand on the first try. So if they heard the complaints & changed it I’m thrilled, I don’t mind a challenge but I hate being frustrated. I’m also very excited that new costumes are finally on the way in poppit party! Now I just need to find the time to play all these new releases, but that will get me to 11,000 badges lol. Have a great day & thanks as always for all the info, I always look forward to your blog! I am curious about the ramifications due to Not updating to Java 11. If Us players do not update Java 11 will we be putting our computers at risk of being hacked and or attacked because we are not getting the Security measure’s of the Java 11 update. I totally understand the questions you may have about Java 11 and security. For more information on the effects of Java 11, you will have to contact their developer, Oracle. We only know how it will affect Pogo at this point. Thank you. I HAVE A REPLY TO THE PERSON HAVING TROUBLE WITH CHALLENGES. SINCE POGO LLAMA IS USELESS WITH THE HELP = I FIGURED OUT THAT I PLAY WHAT I WATNT PLAY. I FEEL THAT WORKS FOR ME.. TRY IT. I understand this won’t pass, but thank you for permitting this person to air a complaint. Perhaps not as kindly toward you, personally, as it could have been (I do realise you’re not the one at fault), but still – as stated earlier – we need an outlet. Pogo Llama is not customer service! Click on the tab above that says “Help”. I was thrilled to see that Tumble Bees HD had been released. I played several games and game play is basically the same as it was in the Java-based game. I was very happy to see the Stats page and that there is a button to clear stats if we wish. I do miss Boogie Bears little dance, but I’m happy with this game. Thank you. Thank you, SusyQ151! Soooo glad you’re enjoying the new Tumble Bees HD! So the idea is to discourage your older players who like the tokens, not to play or renew membership? Are you aiming for the 20-30age range? Our idea is to continue to embrace all of our players no matter their age. 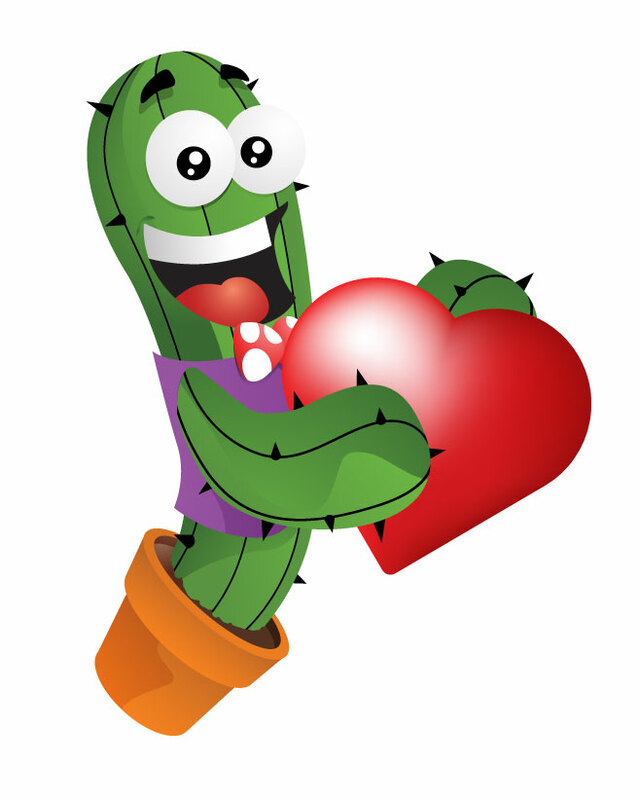 We love and appreciate you all. Thank you for writing in and I hope you enjoy the new games. Pogo You Did It!! We knew you could. Poppit HD is perfect. You did not change the things we love about it, in fact you made it speedier and just..well, just what we hoped for. Changes are not easy, as you know. Now many (I reiterate.. Many) of us hope you will make one change we all do want. Now that we know you can do it, will you please go back and change Word Whomp so we recognize it? It is now more like word whomp whackdown (including the music). Word Whomp has been ruined. Please, please acknowledge your mistake in this one and go back and make it as much like the original as possible. Now we know you can do it! And you did a wonderful job on Poppit! Please hear us. We are so unhappy with the changes to word whomp. Thank you! Yay! Thank you for your lovely words about Poppit! HD, Msjannypoo! can you please change the games in the tournaments?? at Quinns place WHY does she stay on the phone wasting my jellyfish and other objects. if she cannot do her job fire her. get someone who does not live on the phone. Very interesting suggestion about Quinn’s. Thank you! hahaha i cant even pass austrailia in the first batch let alone do the 2nd and 3rd batch. any tricks. other than that games are pretty good. Hi Pogo Llama, hope you are having a great day. Thanks for all the news updates. Myself personally I love pancakes but waffles are right up there. I have a question for you. What is going to happen to the animated badges once Flash / Java are gone? Inquiring minds want to know. Thanks in advance for taking the time to look into this. And yes, the team at Pogo is working on converting the animated Badges into something that is HTML 5 friendly. Thank you for answering my question and I look forward to seeing what they come up with. Have a super day. I’m so glad to see more costumes coming for Poppit Party and the new Lottso Express looks great! Thanks Pogo! Google Chrome and Firefox do not support Java and Squelchies is a Java game. If you’d like to play Java games, the only browser Pogo supports for that is Internet Explorer 11. Thank you for asking. Personally, I enjoyed the Magic Marathon and hope Pogo will continue with it in the future. Gives me plenty to do! Also, I am so happy to read we will be able to continue playing with all of our episodes of Claire Hart Classic once the game is converted!! Thank You for the good news regarding Poppit Party. Looking forward to the new costumes. Thank you also for all the “free” badges and albums. Helps with the budget. Have a good week. Loved your fall picture. Have you been using the full-screen options in our new games? This could really be of help to you. I play full-screen all the time. every since pogo changed when i leave a game AND click on my home screen IT LOCK UP my computer AND i have to sghut it down and restart this has been going on the last 3 weeks i WISH pogo would fix its PROBLEMS!! Awww, thank you, princess1844. We’re here for you and love our players. Take good care. Love your vacation picture. Nothing is turning yet here in W. Tn on Ark. border. Our youngest daughter got married on Oct 13, 2017, in E. Tn., and the leaves were “barely” turning there then. They “might” be better this year. She’s hoping to send e-mail pics. when they do start turning. Her in-laws” live in Oregan and will be coming for a visit at the end of Oct. til Thanksgiving. She had told us that their leaves in Oregan has somewhat turned now. Already started playing Jet Set extended. It is a little harder than the other, but will prevail. Also have started playing next levels in Quinn and Jewel. Both are exciting. Keep up all the good work on the games and the blog. Congratulations on your youngest daughter’s marriage almost one year ago. Fall would be such a lovely time to get married, especially if the leaves had started to change. Have a great week here in Pogo playing Quinn’s and Jewel Academy. Thanks for reading the blog and being a part of Pogo. You told us that Word Whomp levels would not be changed and that whatever we had accomplished would remain. However, from a Rank 70-something I am now back at rank 1 and everything is gone. Not happy. Some of us have worked long and hard at accumulating the points we have earned and I for one do NOT want them to disappear. Hmmm. There seems to have been some confusion. When you get a moment, please read this article about Word Whomp HD regarding how the ranks were not going to be brought over. Rank badges from the Flash version of Word Whomp will still remain in your inventory but you will not be able to progress from where you were in the flash version. Thank you. FIRST, TY TY TY TY, to you, Pogo_Terry and the Pogo team, Tumble Bees HD is absolutely great. A very nice replacement to the original. Breakfast question, I like both actually LOL. ok, now, down to business. Tri-Peaks Solitaire. I am assuming with the awesome conversions of Poppit! HD and Tumble Bees HD that Tri-Peaks will follow suit. From the images shared, an UNDO button is not seen. Will there be an UNDO button as there is currently? And an off the wall question, are any parts of the Tri-Peaks Update a carry over or inspiration from the downloadable (I believed titled Tri-Peaks 2: Quest for the Ruby Ring)? I am really looking forward to Lottso Express HD, having ranked out the original YEARS ago. Images look downright appealing and cannot wait to see it and other updates. As always, thanks for all you and the team do. Thank you, katnipaz! Have a fun week here in Pogo and let’s begin a countdown for Tri-Peaks and Lottso Express! what happen to chat in several sites? Esp. everyone wins Bingo. That site was fun to read. Chat is still available in Pogo. Make sure to enable flash as Pogo’s current chat system is flash-based. I love the photo you showed from OR. I have family in Upstate, NY and it is beautiful there in the Fall with all the different colored leaves. One visit there back in 2012 I went for a walk on a wooded trail and I took a photo of what it looked like ahead of me and behind me and it was so beautiful with the leaves and the sun beams through the trees. (Of course I scrapbooked the photo’s) I was enjoying myself going through that and hearing the birds chirp. Just imagine that yourself. What a memory for me. As for Tumble Bee’s I did try it and I had fun. I laughed when Boogie made a silly face when you get a word wrong. But I do miss him dancing when you finish a game. I did not get to a bonus round yet. Maybe that is when he dances. If so I will be more thrilled. I make pancakes for me and my husband every weekend with fresh bananas. I learned how to make them from my mom. We enjoy each bite. Her sister made homemade waffles for me and my mom and they were so good. What do we do with the tokens we earned while playing Pogo games? Do we just keep them? What an image you described! Thank you for that, I really needed it and it’s beautiful. I’ll be letting you all know more about the new reward system in December and that’ll include more on tokens, as well. Thank you! Pogo_Llama, my husband loves my cooking. He can cook some things, not a lot, but he does make good chicken wings. He bakes them with different flavors. (some flavors you don’t see in stores etc.) I forgot to mention that Upstate, NY is beautiful in the winter too. I have to keep asking for the Pogo technicians to please address the difficulty in playing Quinn’s. I know difficulty can be addressed as it was in Phllinx II. There are lots of us bemoaning the number of times we have to play to succeed at one level. Please help. Thank you for your feedback on Quinn’s, CareAllB. The team is aware of your requests. Thank you. You have Jet Set Solitaire so tight that I can never win any games. I have to play the same one 20+ time and maybe I will be able to move on. Quinn’s Aquarium is the same way. I just get discussed and quit playing. Thank you for writing in and letting me know of your concerns with Jet Set and Quinn’s. I love the newest bingo gamebut it’s nearly inpossible to get any badges as bingo’s are so very hard to get.I have spent many days and lots of hours on it but get very few bingo’s. It has always said if you want a different power-up you can change it. That does not work, I follow the directions and can seldom ever get the power up I want. Thank you for taking this comment. You are talking about Poppit! Bingo, correct? 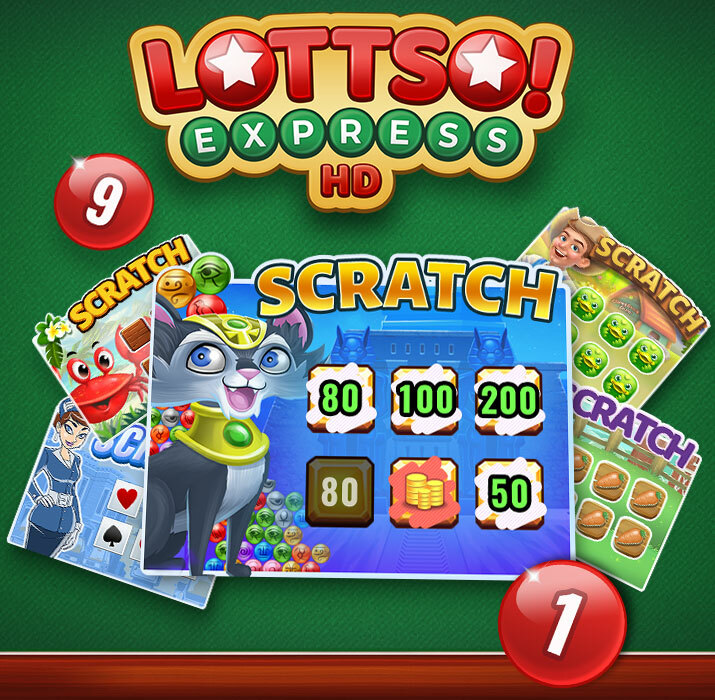 Have you tried to play with the maximum number (4) of Bingo cards? Playing the max number of cards will provide more chances of winning. Regarding Power Ups, if you do not want the Power Up presented to you, click on the trash can (located to the bottom left of Spike) and you will be able to gain credit to get another one. A new Power Up is not available right away. If you have more questions, I recommend going to the Pogo Forums and asking seasoned Poppit! Bingo players some how-to questions. The Pogo Community is one of the best out there and very helpful. I really like French toast with any fruit , but marked both in the poll cuz I will eat either. FYI I am in WI and it is very hot and humid here today.. We may have fall weather tomorrow. GO BREWERS!!!!!! Looking forward to the HD Mahjong Safari but hope Mahjong Garden is also in the works. My input is I like how Mahjong Garden is the only game that ages as you progress. I do not mind tokens being stopped and looking to see what the new rewards will be. But I hope the age progression continues even if we have to start all over again. Really working hard in Poppit Bingo to get to the Halloween rank. While we sometimes have snow before Halloween here in SW lower MI, this year seems to be rain. And another suggestion for the Mini costume creators – sports wear. As you know we are in the heart of BIG Ten and now that football has taken over on Saturdays, it would just seem appropriate if we could don our favorite duds on POGO. They probably hate hearing from me! Also, when the Halloween characters take over the games? Looking forward to them as always. The Halloween themed “skins” are on the way. You will definitely see them before Halloween. Thank you for the Mini suggestions. Stay dry! First off, your picture at the top of Mt. Hood is GORGEOUS!!! Thank you for sharing it with us. I was also wondering when or if there will be updates to Vanishing Trail and Grub Crawl. Thank you! And enjoy your fall! It’s my favorite time of year!!! WOW!! I don’t know where to begin… having just read that BOTH Jewel Academy AND Tumble Bees await me!! I am soooo excited for BOTH!! Don’t know which one I will go to first…. well, ok, it has to be Tumble Bees! Can’t wait to see the new look & graphics… and how it “plays”. :) But I’m just as anxious to see what awaits in the new levels of Jewel Academy!! And then there is Quinn’s! I’ve just got my first Jellyfish in the tank! He’s so cute!! Can’t wait to add more. Beaver Creek State Park sure sounds like a great place to take a walk. Thank you for sharing your story with me. My step dad would make pancakes with blueberries in the batter and I recall them being very delicious. Now you have my mouth watering. Yum! 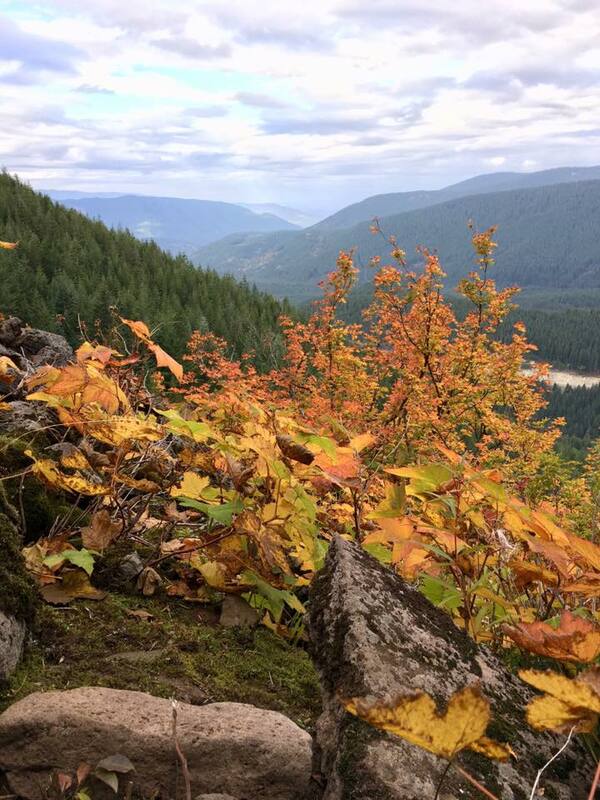 “Last week, I went for a fall hike on Mount Hood last week” – Looks like you should proof read before you post (it did give me a chuckle though). One thing I have found for the Safari 12 issue. I am a die hard Mac user and in order to play the java based games I have been using a browser called Waterfox. For now it seems to allow me to play my Word Search Daily game (I play every day). Thanke you for the new levels in Jewel Quest. The new Tumble Bees game is just too hard to enjoy. Man, Llama – honestly, I just can’t get into any of the new games without side chat, high scores, announcements about achievements folks have made in the games. And, I’m so sad about this as I’ve loved pogo for so many years. I lived in Eugene for 25 years and spent every summer in Madison with my aunt and uncle when I was growing up. Thanks for the nostalgia. Thank you for your comment, Rmij. Which browser are you using when this occurs? Kym, all three of my browsers do the same. However, you should be able to just click (or sometimes double-click) into the field and your information will appear. I have to do that every time, in all three browsers, but it does appear after clicking in the field. If you have more than one Pogo account, I’d suggest you click “show” because it doesn’t remember the correct password. YOU ARE ALL GREAT, THANK YOU FOR MAKING POSSIBLE FOR US TO HAVE THIS INCREDIBLE FUN AND NEW GAMES! Thank you so much, labichada17! I like to play the tumble bee and I am really enjoy thish pogo and you are the best pogo_Llama. Thank you so much, WHDLuzerneCO79. This has to do with Poppit! Bingo. Is there any way to make the font smaller and/or the ticket icon? I have no idea how many I have because there’s not enough room for the full number. Thank you. It may help to adjust the size of your screen by using zoom in/out. Have you tried that? Hello. thank you for keeping us updated on all coming events. I also want to thank you for the added levels in Jewel Academy. However I’m sad to see there are only 40 new levels. Many people get these done in a very short time. 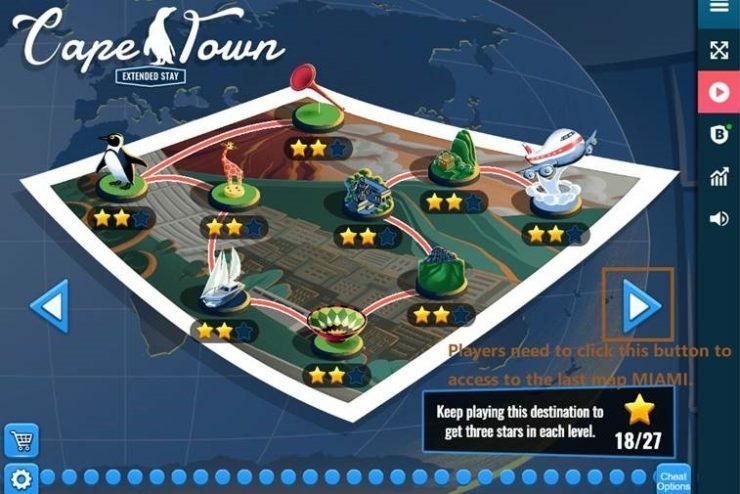 Are there more levels in the works? Thanks again. I love that you’re such a fan of Jewel Academy, thank you for that! Yes, new levels are always in the works although it’ll be several months before the next release of them. Thank you. Yes, it’ll be super fun! If the HD games loaded better I would be happy to play them but as they are now, I wont’t play them. The old saying, “if it ain’t broke why fix it”. I thought the games were fine before you changed them to HD! I’ve been a member for over 14 years. To better understand why we are updating our games to the new HTML 5 technology, I believe it would be best to read this article I wrote. This will explain what is going on with the technology and why Pogo must embrace it. In order to keep these games alive, they must be transferred to the HD technology. Please click here for information on what specifications are recommended to play HD games smoothly. Thank you. I love the Wisconsin fall picture you have that should be made into a background for our mini’s. We are in Pittsburgh PA and 83 today still having warm weather no changing of colors here yet. What is Pogo’s policy regarding payers who use third-party programs (AKA “bots”) in games such as Boggle Bash to achieve high scores? They are cheaters and we do not tolerate cheaters. If you see a player cheating, please right click on their name and report abuse. Please know that reporting cheater, abusing and harassing players does work. We have a team of dedicated agents that respond to these reports. If you click here, you can read all the different ways to report abuse in Pogo based upon the location of where the abuse is happening. Thank you for reporting the abuse. Thanks. It would help a lot if you added “Suspected Cheating” as one of the things to report. Right now there’s nothing that really applies. Thank you for your questions and concerns. I hope you have a good week. Thank you for your reply, please pass along our concerns about tournaments to the pogo team. My team members keep asking me and I have nothing to pass along to them, so any information would be much appreciated. I understand. And thank you for being a part of Pogo and the Tournaments. It seems in the new HD games you can not view the chats in the chat rooms while playing the games because they are at the bottom of the game and not on the side as in the old games. This is a bummer, will this change? An Insider question was answered in the last Pogo Insider regarding chat. To read it, please click here and then scroll down to the Insider Question section. Is there any chance in Dice city roller coming back? You said Lottso is coming , which I use to couldn’t play because of the change. Thanks for bringing it back. Thank you for all the badges and free items. Keep up the good work. Thanks for your message and you’re most welcome for the badges and free items. The answer to this is: The reason games with lobbies are not currently being converted is due to needing the technology to make it so. These are known as multiplayer games and we’re working on the technology for that. Once this work is complete, we can start on converting those games over. “The reason games with lobbies are not currently being converted is due to needing the technology to make it so. These are known as multiplayer games and we’re working on the technology for that. Once this work is complete, we can start on converting those games over”. I’ve heard the phrase “we are working on that” numerous times in the business world and it has often been “code” for “we don’t know how to make it work, so don’t expect much”. This, to me, is unnerving. I am in a Pogo Bowl League (obviously multi-player) and have been wondering why there has been no word on Pogo Bowl conversion. I have no idea the number of Pogo members who are in Bowling leagues, but it isn’t an insignificant number who will not be “happy campers” if this particular game isn’t prioritized. Also, as previously stated, the chat screen being BESIDE the gaming area is a necessity for league play. Thanks for writing in with your concerns. I can, and want, to confirm, that the team is working on bringing multiplayer games to HD. I understand your hesitation, but please know they are working on it. Regarding chat, an Insider question was answered in the last Pogo Insider regarding chat. To read it, please click here and then scroll down to the Insider Question section. The team knows the request for having chat not be at the bottom and they are keeping that in mind. Thanks very much and get them strikes in Pogo Bowl! Y’all did a great job with Poppit HD! It stayed true to the original and we players appreciate it. The photo is just beautiful! Fall is my favorite season because of all the colors! Thanks for sharing it with us. Quinn’s and the new Claire hart are still my 2 faves on the new games. Fall is so beautiful, I totally agree. I love the look, the smell, the feel…everything about it. Enjoy your week in Pogo especially when playing Quinn’s and Claire Hart. Yes, there will be an October PBA. Great photo! I live in central Wisconsin..the fall colors are amazing as always but it’s been raining, raining & raining. Sure hoping to have the warmer days & coolers nights that Wisconsin offers in the fall. Want to spend time hiking & looking at the beautiful trees before the snow comes. Wow! I’m from Central Wisconsin! My friends and family back there have been telling me it’s been raining there quite frequently. I hope you all get some fall colors before the snow arrives. I know what it’s like once that snow starts flying. When we first started getting the marathons and other challenges, I was thrilled because it gave me something else to work toward. However, now that we’re getting these almost weekly I’m having trouble keeping up. I think this is too often and once or twice a month would be more than enough. Of course, I know I’ll hear from those who disagree, but everyone has their own opinion. Yes, you are so right that everyone has their own opinion. Thank you for sharing yours. If I have any updates on High Stakes Pool being converted to HD, I will let you all know in the Construction Zone. Have a good week. Thank you so much for letting me know you had a helpful experience with Customer Support. I will pass the note along to the team. Have a wonderful week.